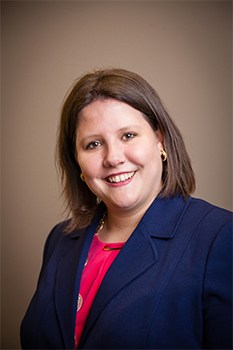 Nathalie I. Johnson-Noon is a member of Becker, Kellogg & Berry, P.C.’s personal injury department handling and taking to trial a variety of personal injury cases including automobile accidents, premises liability, and slip and fall cases. She also serves as general counsel for several condominium associations. Prior to beginning her plaintiff personal injury practice, Ms. Johnson-Noon practiced for more than 13 years as insurance defense counsel for various insurance companies and self-insured entities in Maryland, Virginia and D.C. While working as insurance defense counsel, Ms. Johnson-Noon gained valuable trial and litigation experience. Ms. Johnson-Noon graduated from the College of William & Mary with a major in Psychology in 1999. She received her Juris Doctor from the Dickinson School of Law of the Pennsylvania State University in 2002. During law school, Ms. Johnson-Noon served as a certified legal intern for the Disability Law Clinic and was a Comments Editor for the Penn State International Law Review.